I've only been with Sweet Romance Reads for a couple of months now but thought I'd re-introduce myself. I feel blessed to be a part of this wonderful group. Melanie D. Snitker has enjoyed writing for as long as she can remember. She started out writing episodes of cartoon shows that she wanted to see as a child and her love of writing grew from there. She and her husband live in Texas with their two children who keep their lives full of adventure, and two dogs who add a dash of mischief to the family dynamics. In her spare time, Melanie enjoys photography, reading, crochet, baking, target shooting, watching movies, and hanging out with family and friends. While that tells you a little about me, I thought I'd share six lesser-known facts. 1. I enjoy crocheting. That was mentioned above, but what my bio doesn't tell you is that I crochet anything from baby boots to amigurumi, from slippers to toy food. I find crocheting to be a relaxing way to spend the evening, and a few years ago, I even ran an Etsy shop where I sold my creations. While I mostly bought and followed patterns, I did create my own for a jellyfish, which is still one of our son's favorite toys I've made for him. 2. I'm not a fan of snow or really any cold weather. I'm thoroughly loving the beautiful spring weather we're getting here in Texas right now. Watching the plants come alive and flowers bloom makes dealing with the pollen and allergies completely worth it. 3. I'm a big fan of essential oils. I use them to help with my seasonal allergies, to create relaxing aromas, and also to help heal bruises, aches, and pains. 4. My husband and I like to watch new episodes of our favorite TV shows together every week. All of the super hero shows are included in the line-up along with several others. My absolute favorite show this year, however, is Scorpion. A show about a bunch of genius misfits who band together to change and save the world? Yes, please! 5. I collect a lot of things that I proudly display on my desk. These items range from Wonder Woman and Batgirl figures to plush Legend of Zelda characters. 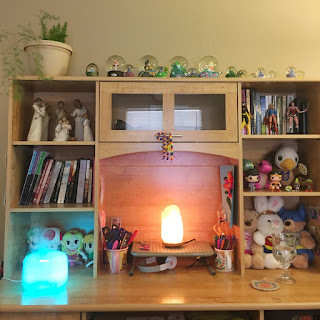 As you can see from the photo above, I also have a salt rock lamp and an essential oil diffuser that I use regularly. 6. 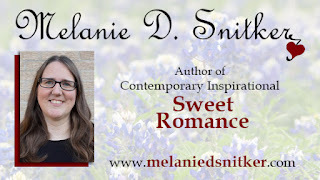 While I write sweet romance novels now, that's not the genre I originally started writing in. When I was young, I wanted to write science fiction. I even wrote a Star Trek: Deep Space Nine script which I subsequently sent in for consideration. Yep, it was rejected and it's no wonder when I look at it now. lol I also wrote the first book in a science fiction trilogy which I want to eventually polish up and publish. 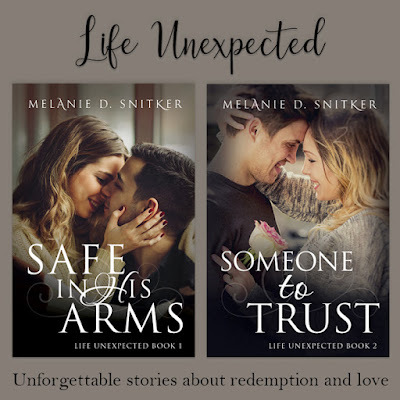 I just recently finished the second book in the Life Unexpected series. Someone to Trust was somewhat of a challenge to write because the characters kept throwing me curve balls. LOL But in the end, if there's one thing I can say about the experience, it's been an adventure. I'm looking forward to sharing Chess and Brooke's story with everyone when it releases May 20th. It's wonderful being involved with this incredible group here on Sweet Romance Reads. I look forward to continuing to get to visit with you all over the coming months! 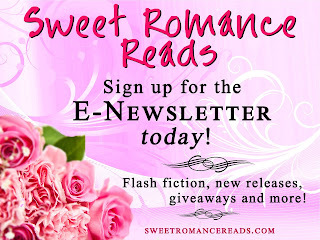 Sign up for the Sweet Romance Reads newsletter! Melanie, it's so nice to get to know you better. Good luck with your upcoming release. A lady after my own heart - I HATE SNOW! Sadly I'm tied to the northeast. Your books sound fabulous! I love getting to know you better, and I love your book covers. Star Trek Voyager was once my favorite show! They called us Trekkers.